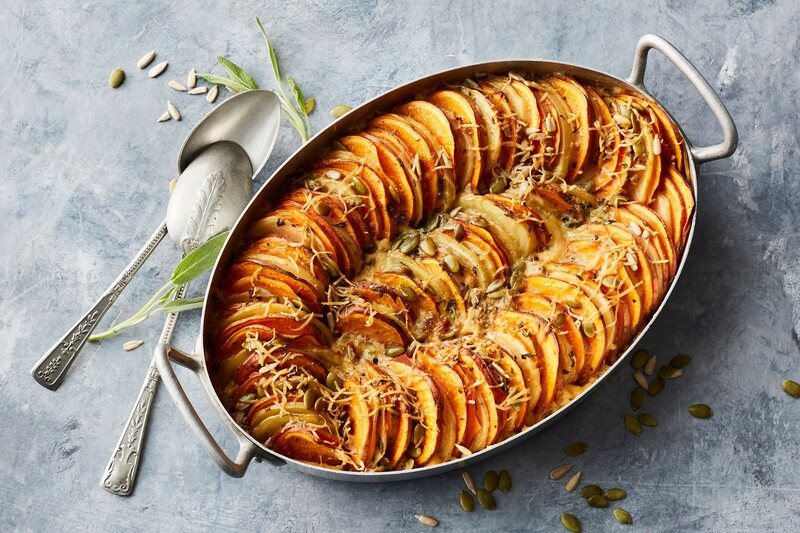 Successfully saved Healthier potato and sweet potato bake to your Calendar. You can also save the ingredients to your Grocery List. We've made the popular creamy potato bake better for you by adding sweet potato and cutting back on the saturated fat.